At JMI Insurance, our customers know that they can count on us to make finding an awesome insurance policy simple and easy. 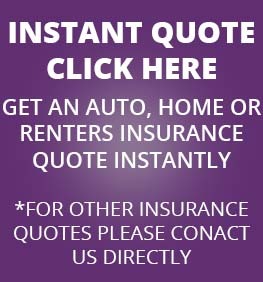 Coupled with our outstanding customer service, we offer the best commercial insurance Oregon can offer. We specialize in a variety of different insurance policies, from restaurant insurance to agricultural insurance. Running a farm and growing crops is not easy. It takes grueling, year-round work to prepare crops for harvest, as well as lots of your hard-earned money. There is a whole list of things than can go wrong and ruin a crop for a farmer. Drought, excessive rain and flooding, hurricanes, excessively cold weather and hail can all have a devastating effect on agricultural harvests. Not to mention the unpredictable market fluctuations; the prices for crops have the potential to drop sharply right before harvest time and render all of a farmer’s hard work meaningless. Agricultural insurance is insurance that is designed to protect farmers from events that are entirely out of their control, such as adverse weather and price drops. Our agents are experts in agricultural insurance, and have over 30 years of experience working to deliver exceptional insurance to farmers big and small. No matter the size of your operation, we will scan through a substantial selection of insurance policies to find one that meets your farm’s specific requirements. When you call JMI Insurance, you will be pleasantly surprised by the honesty and integrity that our insurance agents exhibit. As a local, independent insurance agency, we set our own priorities; and our first priority is always customer satisfaction. Agricultural insurance can be very confusing and overwhelming at times. Our agents are always on hand to speak with you about the details of your insurance policy. With their extensive knowledge, they will be able to answer all of your questions and set you up with a policy that adequately covers your crops or livestock. 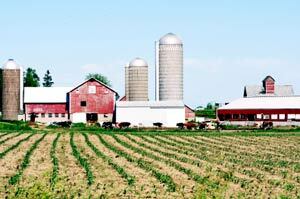 If you run a farm with crops or livestock, let JMI Insurance handle your agricultural insurance needs. We are the best in the business, and we will do everything in our power to set you up with a dependable policy. Contact us to set up a meeting with one of our agents or to get started on a free agricultural insurance quote.